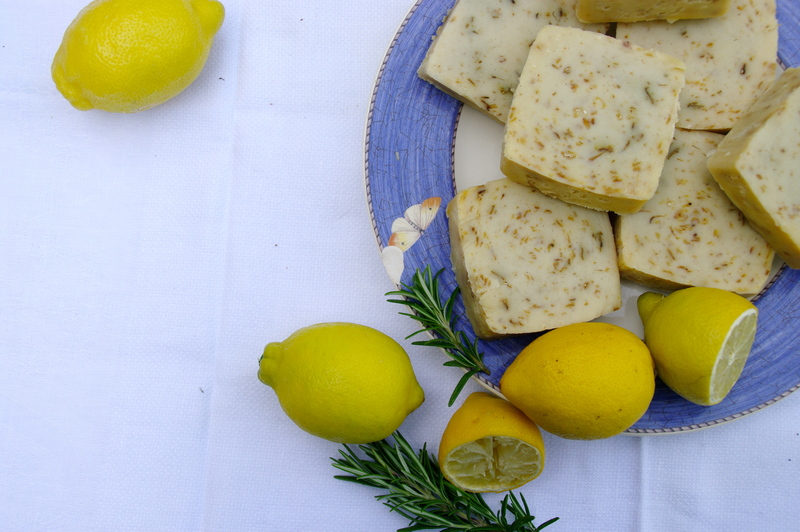 Earlier this May, we held a soap making workshop with Jonathan Code (the Director of Crossfields Institute International), using all plant-based and totally natural ingredients. 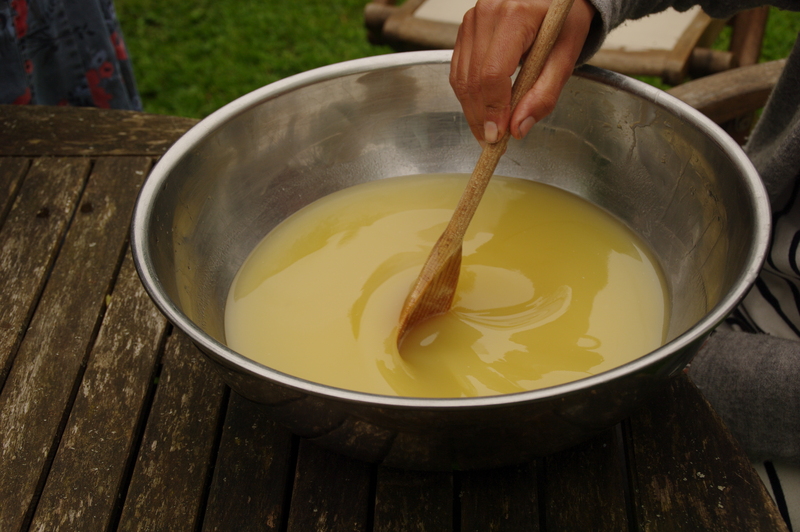 Apparently some soaps contain animal based substances or palm oil, whereas the soaps from the recipes that Jonathan taught us don’t use any of these. 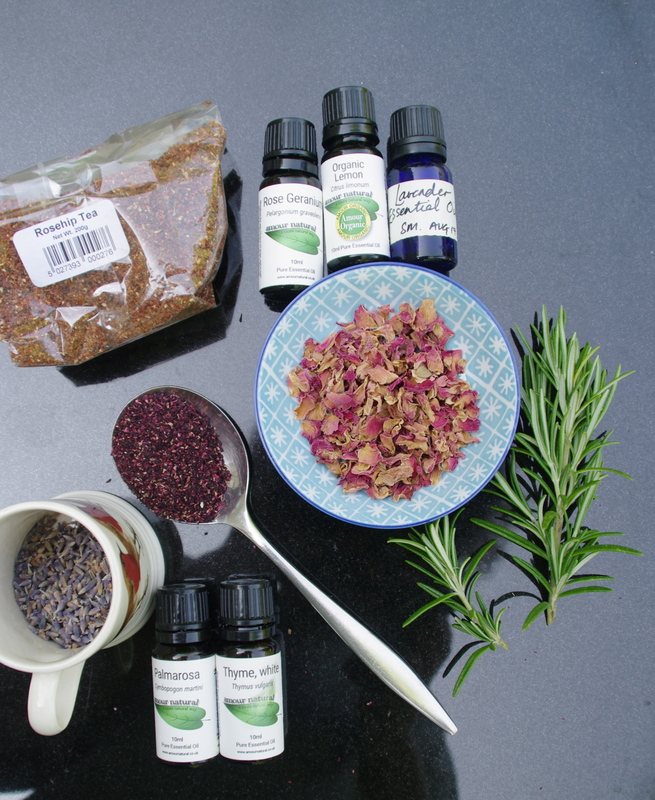 As well as the ingredients Jonathan provided, we were able to pick some plants to add from the garden, such as rosemary, rose petals and lavender. Jonathan developed soap making as an educational workshop while working at the local Ruskin Mill College, and has been teaching for over 20 years. 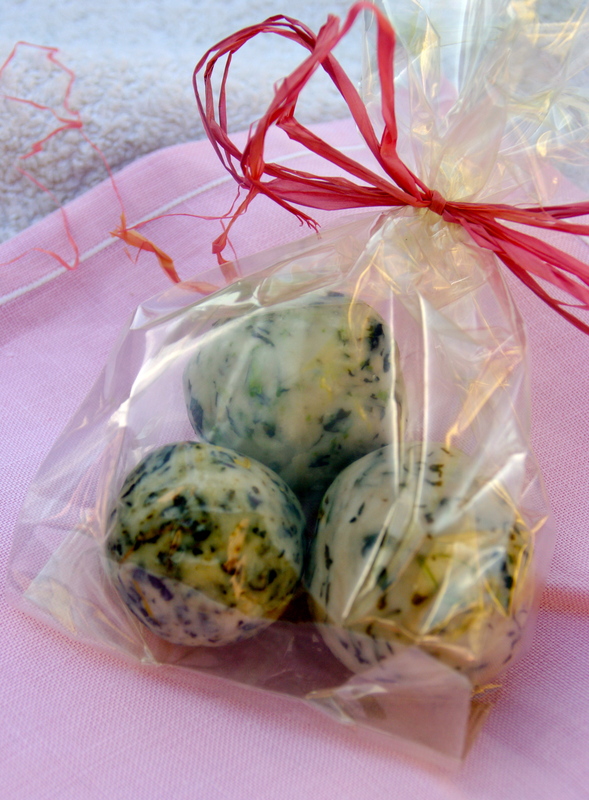 In the morning, we made “Victorian wash balls”, mixing in essential oils, dried rose petals and rosemary into to a neutral soap base, scenting and beautifying it. We were able to include some of our homemade organic lavender oil from last year’s distillation process as well. 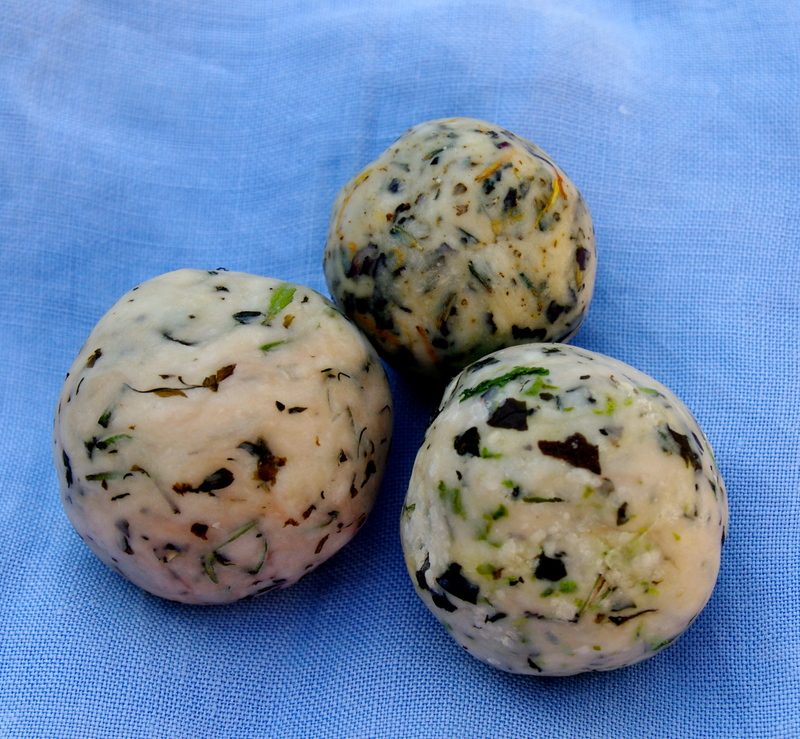 Because of the fresh plant materials that we included the wash balls do have a shelf life of around three months, and they don’t contain any preservatives. 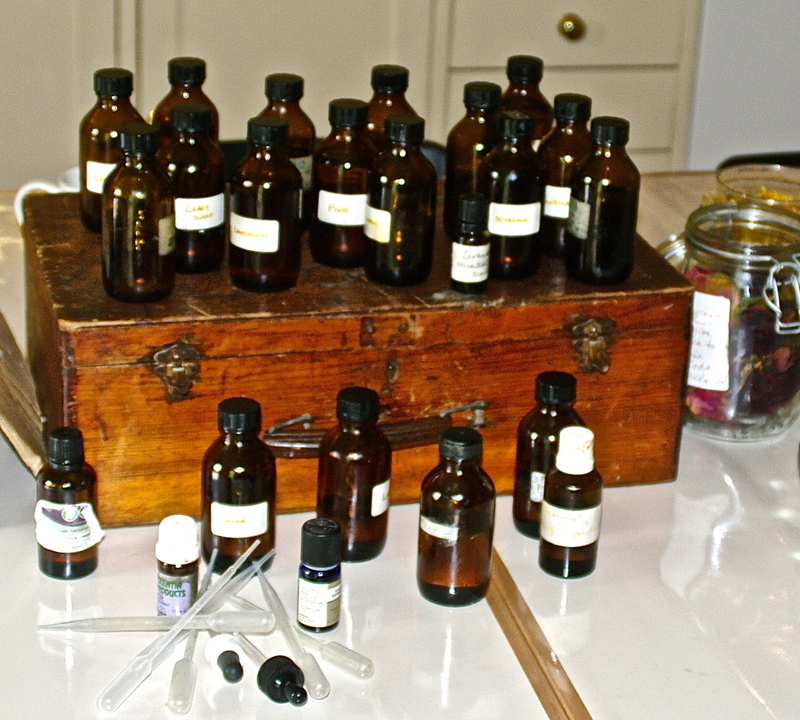 The afternoon focused on making soap bars, using Jonathan’s incredible library of essential oils. These need some time to cure afterwards, and we made them in large blocks in tetra pak moulds which can then be sliced into individual bars a few days later. They were made from a delicious selection of coconut oil and almond oil in the base, and then scented with aromatherapy oils. 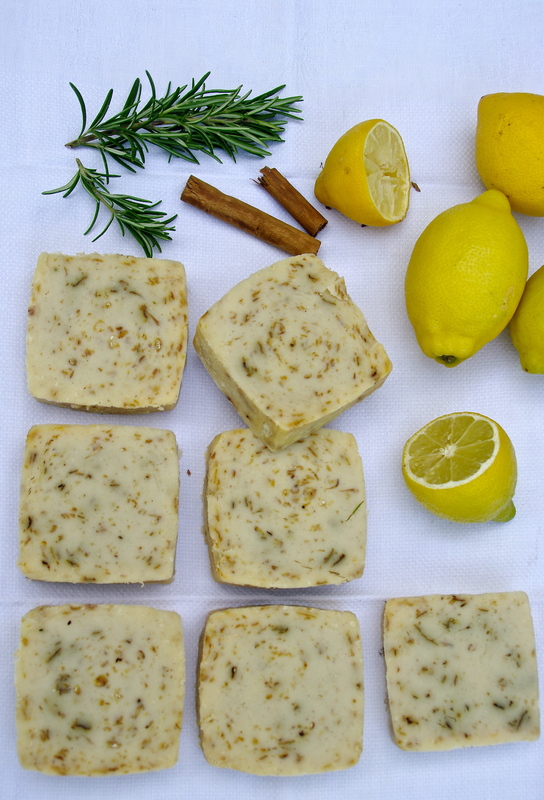 The scents of lavender, rosemary, lemon, mandarin, palma rosa, ylang ylang and jasmine filled the kitchen. One of my particular favourites from the day contained shea butter, olive oil, coconut oil, lemon oil, cinnamon oil, oats, rose petals, ground vanilla and dried calendula. It smells fantastically citrussy and fresh. Everyone left with their own handmade soaps and wash balls. 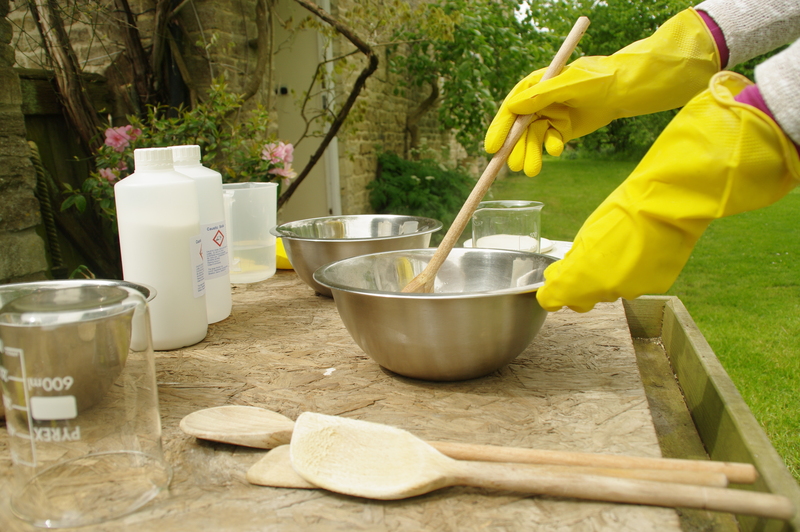 If you’re interested in future soap making workshops, a brief overview of the day with Jonathan includes the basic chemistry of soap making, a distillation of a herb ‘essence’, an overview of traditional soap making, gathering plant ingredients from the garden, how to make cold pressed soap and Victorian wash balls, and an exploration of the properties of some essential oils and which to choose. 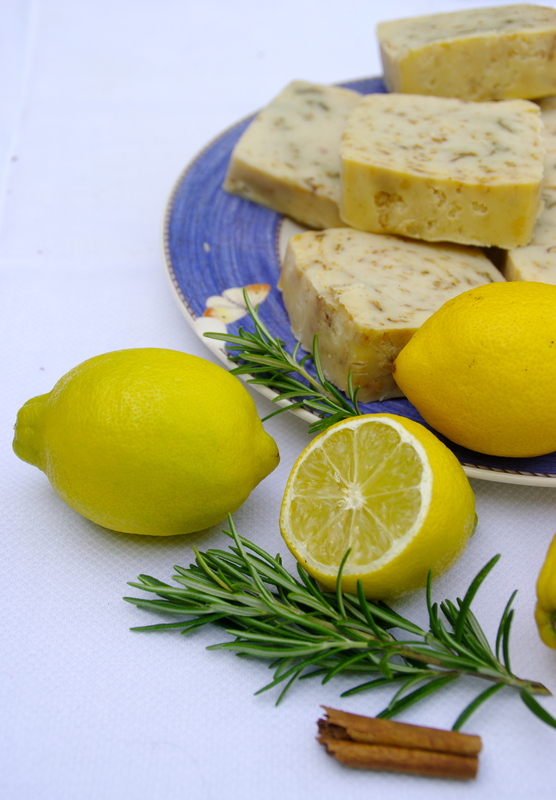 Our next soap making day will be held in the autumn, and can be booked through our website.